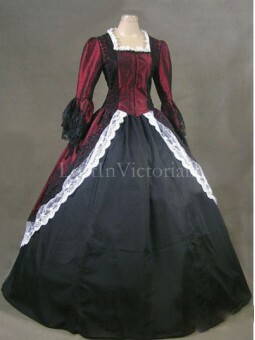 Fabric: SatinShown Color: Burgundy & BlackIncludes: Dress, UnderskirtThe hoop skirt (worn under .. 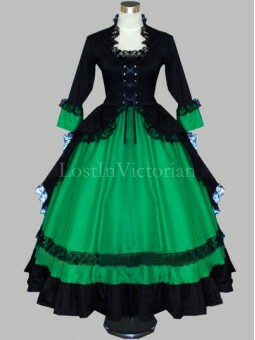 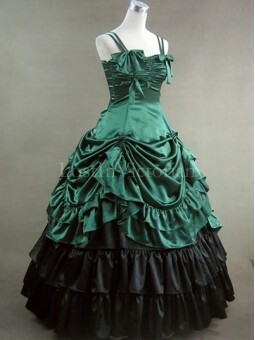 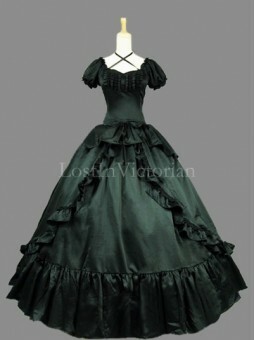 Fabric: SatinShown Color: Green and BlackIncludes: Overskirt Bodice, UnderskirtThe hoop skirt (worn .. 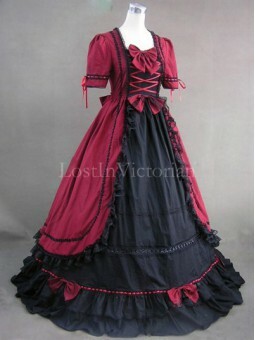 Fabric: CottonShown Color: Deep Red & BlackIncludes: DressThe hoop skirt (worn under the dress) .. 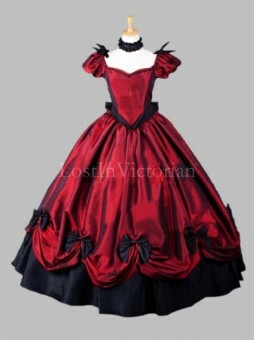 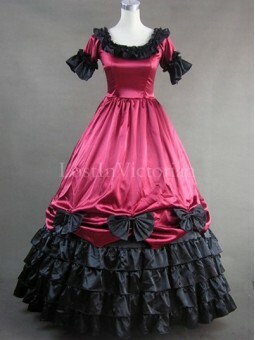 Fabric: Satin, LaceShown Color: Burgundy & BlackIncludes: Bodice, SkirtThe hoop skirt (worn unde.. 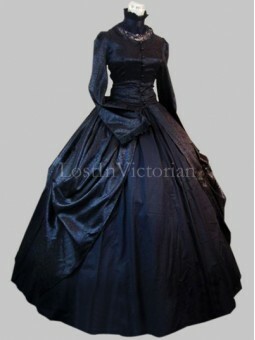 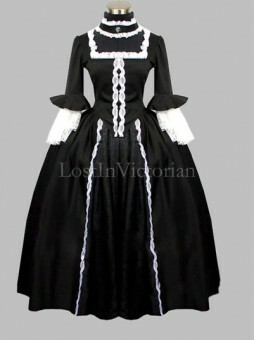 Fabric: SilkShown Color: BlackIncludes: Overskirt Bodice, UnderskirtThe crinoline (worn under the dr.. 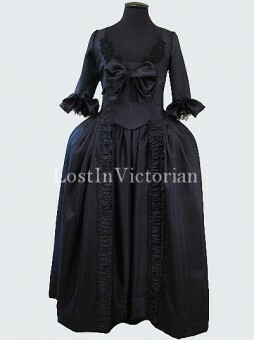 Fabric: SatinShown Color: BlackIncludes: DressThe hoop skirt (worn under the dress) is recommended a.. 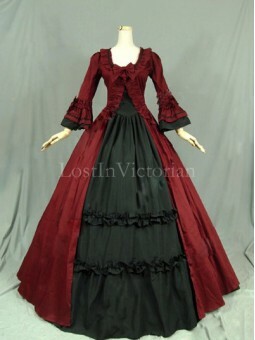 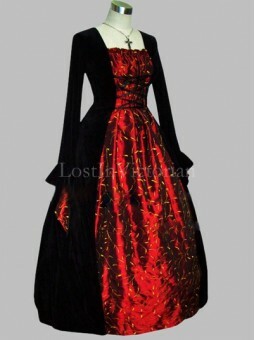 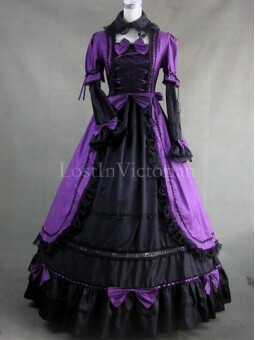 Fabric: Velvet, SatinShown Color: Black & RedIncludes: DressThe hoop skirt (worn under the dress.. 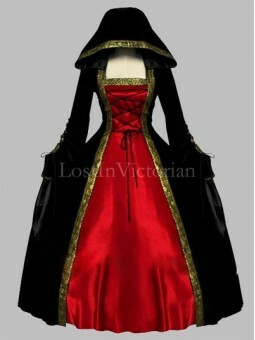 Fabric: Velvet, SatinShown Color: Black & Gold Includes: Dress, OvercoatThe hoop skirt (worn und.. 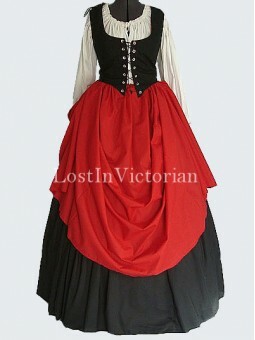 Fabric: Cotton-poly BlendShown Color: Dark Red and Black, Black and RedIncludes: Bodice, Handkerchie..